One of the most popular events on our campus is the dance performance each semester. It is ALWAYS a sell out. As always, tickets are free for Belhaven University Students, Faculty, and Staff. 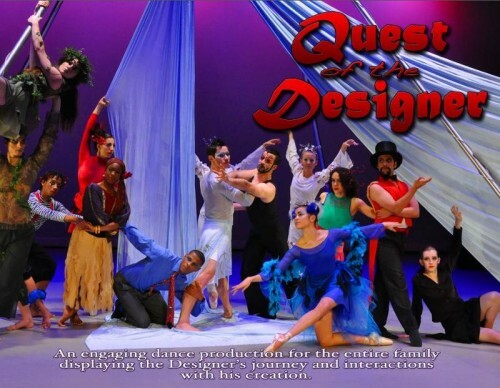 Belhaven University Dance Department Presents: “Quest of the Designer.” We invite you to join us at this fun-filled choreographic production for the entire family, created by Belhaven’s dance faculty and performed by the Belhaven University Student Dance Ensemble. Friday, April 5 at 6:30 PM. Saturday, April 6 at 1 PM and 6:30 PM. Thursday, April 11 at 11 AM. Friday, April 12 at 6:30 PM. Saturday, April 13 at 1 PM and 6:30 PM. General Admission $10 to the public; $5 for Seniors and non-Belhaven University students; Children 12 and under free. Doors open 30 minutes prior to concert. A leading proponent of charter schools may be joining the state Board of Education. House Speaker Philip Gunn has appointed Joel Bomgar to the board, pending Senate confirmation. 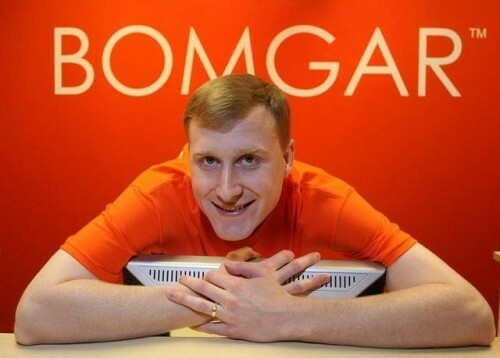 Bomgar is founder and CEO of software maker Bomgar Corp. of Ridgeland. He also heads of Better Education for Mississippi, a group of Republican-linked business leaders pushing for charter schools. Bomgar would replace Martha “Jackie” Murphy, whose term expires at June’s end. If confirmed, Bomgar’s term would begin July 1 and run through June 30, 2022. Murphy, of Rienzi, was appointed by former House Speaker Billy McCoy, a Democrat. The board oversees educational policy for Mississippi’s 151 school districts. Though Bomgar supports charter schools, plans now being considered by the Legislature would create a separate board to authorize and oversee such schools. Congratulations to Coach Levi Patton – today he achieved his 100th win as Belhaven University tennis coach. Dr. Howard Bartee, Chair, Department of Sports Administration, announced two special events next week for our sports administration majors. Monday, March 25th, 2013, Marc Williams and Dr. Bartee will co-moderate an “Advice from the Pros” panel featuring Jay Harris, ESPN Sportscenter Anchor and Kelly Jones, Host of Better Kansas City. Wednesday, March 27th, 2013, Cathy Pryor, Senior Vice President of Store Operations at Hibbett Sports will be speaking to our students about a new program called “Get in the Game: Development a Career in the Sporting Goods Industry”. Also, one of Sports Administration Majors, Natalia Krier was featured on Fox Sports South during their Southern Showcase series on yesterday at 5 P.M. and will re-air on the same channel Friday (3/22) and Sunday (3/24) at 10:00 AM CDT. Did you know that next fall we are launching a major in Sports Broadcasting? I received a preliminary hail damage evaluation late today…..and the news is not good. We have discovered that many of our air conditioning units were severely damaged during the hail storm. Because many of these units are located on the roofs of our buildings, the hail pounded the protective metal covering and damaged the coils. We are fearful that a number of our air conditioning units are no longer operable. Not only is this damage costly, but we’ll have to rush to get them replace before the weather becomes warm and we need to turn on the air conditioning. The hail storm of Monday afternoon caused considerable damage to the campus. I’ve often heard of “golf ball size hail” but had never seen. It was remarkable. Many of our decorative light globes were broken, windows smashed, and a number of roofs will need to be replaced. In addition, all across campus car windows were broken and many look like have been hit with hammers. As a university, we must carry a high deductible level on our insurance policy, and thus we are expecting that our costs will be at least $50,000 before the insurance begins to pay – assuming they treat it all as a single event. I was stuck in my car on I-55 when it hit, with all lanes of traffic blocked by the few people who decided to stop under an overpass and leave hundreds of us unable to move. Interestingly enough, just a mile north of campus where I was, my car was not damaged. While the cars on the campus were hit very hard. The size of the hail fluctuated enough in that close range to make the difference between what was just a scary event, and one that severely damaged property. I had my first tour of the new Fitzhugh Hall today. I’ll post pictures from the “new views” from the third floor. The building is going to be magnificent. It is on schedule to be open on July 31. Today they started putting up the exterior finished walls, but even when I went through it at noon, everything was still open. It will now quickly start to appear like the old Fitzhugh we love from the outside. Dr. and Mrs. Sachs (The Sachs Piano Duo) offer a duo/duet/solo recital of repertoire including I Got Rhythm Variations by George Gershwin, Concerto for Two Keyboards in C Major, BWV1061 by J. S. Bach, Fantasy in F Minor, Op. 103, D. 940 by Franz Schubert, a monumental work by P.D.Q. Bach and some “finger buster” etudes. Complimentary admission. Doors open at 7 pm. Come and enjoy a colorful and beautiful showcase of string solos, string chamber groups, and the Belhaven String Chamber Orchestra that features our University’s outstanding string students performing in a variety of settings. Complimentary admission. Doors open at 7 pm. Mississippi’s best high school string students present the results of two intensive days of rehearsal and study. Ivan Del Prado is the guest conductor. Complimentary admission. Doors open at 2 pm. Excitement through sound is in store for you as the full range of instrumental timbres, color, and energy flow under the baton of Dr. Paxton Girtmon and Mr. Owen Rockwell. Complimentary admission. Doors open at 7 pm.